I’ve cared about evangelism for as long as I can remember. Three years or so ago, the old me wouldn’t have believed my struggle with evangelism and the number of excuses I’ve made since becoming a mom. It’s true we’re busy, and our life goes from taking care of ourselves to not looking in the mirror for an entire 6 hours while also forgetting to eat lunch again—something I never would’ve done in my pre-mommy life. We may think of evangelism like the fairy tales we tell our little princes and princesses. We imagine a special place where we will meet the right person who needs to hear the gospel. They will be saved. We will become best friends who study the Bible together over coffee and blueberry scones—everything will be happily ever after! If evangelism likens to a fairy tale, we can play the role of the knight who has shiny armor of his own and doesn’t need God almighty and his spiritual armor to help him. But to live a life that seeks to evangelize, we must recognize we are weak, inadequate, and unable to orchestrate the ideal scenario. We can’t change anyone’s heart either. The strength of Christ helps us obey when life seems chaotic, and God’s word holds the power to save souls. 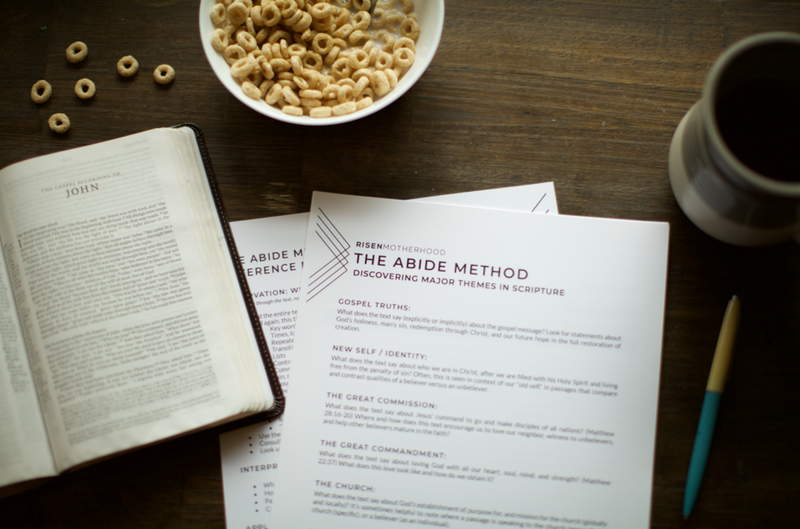 Obeying the Great Commission will look different now that you are a mom. Let God make his appeal through you inside and outside of your home, through prayer and direct interaction, to your children and other future children of God who wait for someone to tell them, for they cannot believe unless they hear the good news.